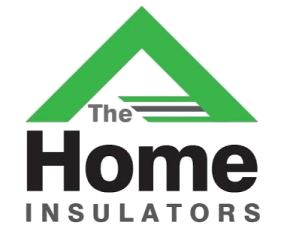 The House of Insulators prides itself in being the #1 provider for home insulation products in Ossining, Westchester County, New York. We have been in the industry for the last 40 years and we prioritize the needs of our customers alongside providing quality services to them. We install all home insulation solutions with industry-level expertise backed by a team of qualified and experienced professionals. 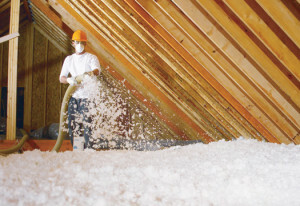 One of our specializations is spray foam insulation, a specialized, high-performance insulator that guarantees to cut down your energy consumption and costs. R-value is a unit used to measure the resistance of an insulation material to heat transfer (per inch). Generally, it is a measure of an insulator’s effectiveness. During the winter, heat from your furnace will spread to the cooler areas of your home. Where your home lacks insulation, the warm air will escape outside. In the summer, the reverse occurs: heat from outside moves to the inside of your home where it’s cooler because of air conditioning. This means that your air conditioner has to work harder to cool your home thus consuming more energy due to poor insulation. High R-value insulating products solve this problem by regulating heat transfer and stabilizing the temperature of your home, thus saving you money. To begin the process of finding the best insulation solution for your home, give us a call today and schedule a free consultation with one of our qualified energy auditors. We will come to your home to perform a blower test, which should reveal the regions that are prone to heat transfer. If your home needs insulation, the auditor will offer you obligation-free recommendations for some of the insulation solutions we can provide which suit your needs. We are at your service in Ossining 7 days a week. It’s possible to book an appointment during the day or even during the evenings to accommodate your busy schedule. You can give us a call and book your free appointment now. 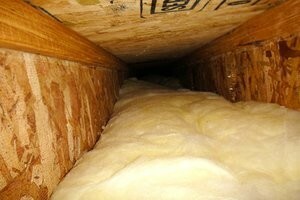 Batts and rolls: This insulation product mainly consists of fiberglass, rock wool, or cellulose. It is also known as “blanket insulation” because they can be rolled to fit in spaces of varying sizes and dimensions, such as in walls, basements, and attics. Blown-in/Loose-fill: This product is similar to batts and rolls, but are suitable for the tiny unreachable spaces. The installation of loose-fill also requires specialized equipment, including a track and hose. 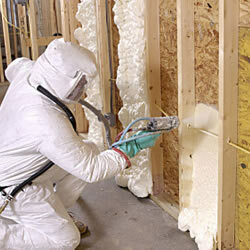 Rigid foam sheathing: They work best on homes that have either been newly-constructed or remodeled. The foam is normally sprayed on a rigid board. 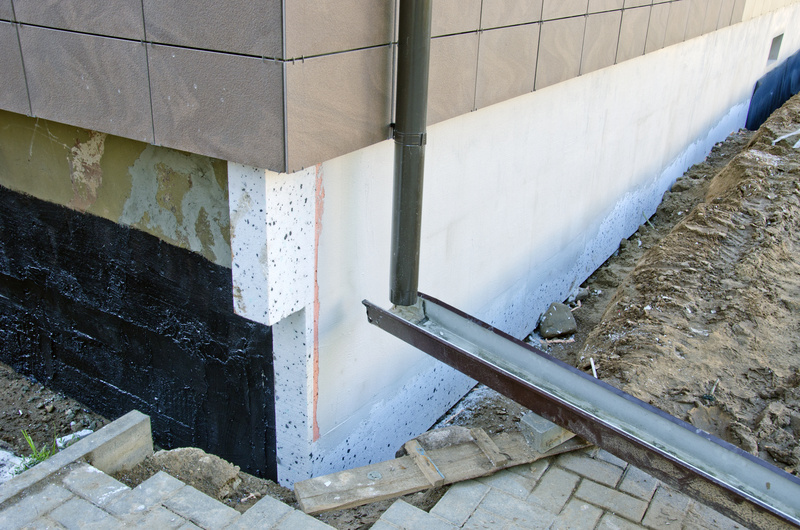 For maximum thermal efficiency, a higher R-value material is recommended for this type of insulation. It can also be installed on both interior and exteriors. 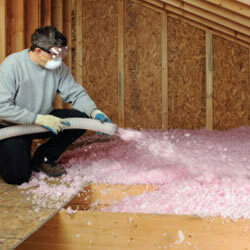 This is the #1 recommended home insulation product by The Home Insulators. It is a superior product to the ones listed above. It’s also capable of reducing your monthly energy costs significantly, and although it will cost you much more than the other options, you will recover your investment in three years or less, in terms of energy savings. 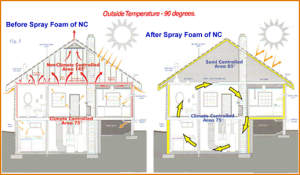 What do you stand to gain from spray foam? The U.S. Department of Energy projects that proper home insulation saves the average household up to 40 percent of energy costs. 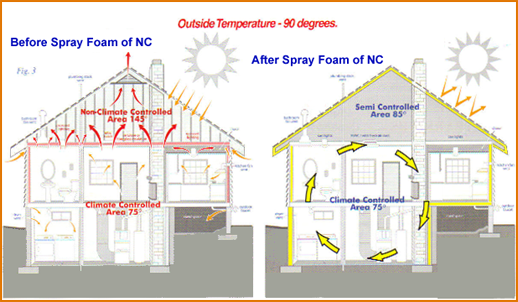 To make spray foam, two chemical compounds are mixed together and heated. After heating, it is sprayed evenly on all the intended spaces, and it begins expanding to about 50-100 times its original size. The expanded foam covers all the target regions. The foam later cools to form a solid airtight seal. The installation has to be done by qualified professionals or else it will leave gaps for heat transfer. At The Home Insulators of Ossining, this is our specialization and we guarantee perfect installation. Some refer to it as the “volunteer-spirited town”. The people of Ossining are welcoming. The community comprises of a very vibrant racial and religious mix. The Westchester Magazine recently ranked Ossining as the #2 best community to reside in Westchester. When in Ossining, you can choose from a variety of recreational activities including shopping, sports, trips, dance and arts, swimming and other activities. Ossining is an old town dating back to the late 1800s. As such, many of the homes may be lacking adequate insulation. In the Northeast, especially, winters may become extremely cold and summer quite hot. Without proper insulation, such homes can spend up to 50 percent of their monthly energy consumption on heating and cooling alone. The idea of insulation is to ensure you summers stay cool, and your winters warm without overstretching your air conditioner or furnace. 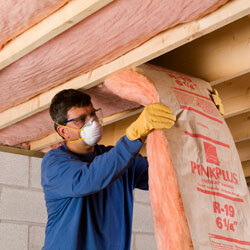 If you’re thinking of getting insulation for your home, The Home Insulators has you covered. We have a dedicated professional team that will come in whenever you need assistance. We are also insured and bonded and you can bet we will get the job done right the first time. Don’t hesitate to contact us and book your free energy audit from one of our qualified energy auditors. We have a comprehensive reference list consisting of your neighbors in Ossining and we will be happy to come on board and help lower your energy consumption and expenditures this year. Give us a call today.